Will Casinos In NJ and PA Feel The Heat When New AC Casino Arrive? Will Casinos In New Jersey and Pennsylvania Feel The Heat When Hard Rock and Ocean Resort Arrive? On June 28th Atlantic City will experience the opening of not one but two new casinos, the first new gambling locations to open in more than five years and only the third and fourth to open this millennium. Hard Rock Hotel & Casino as well as the Ocean Resort Casino have big ambitions to be a major part of Atlantic City’s rebirth. Questions remain as to the potential success of these newcomers, and by extension what effect they may have on the other existing casinos in the area, both the remaining competitors in Atlantic City as well as the neighboring market of Pennsylvania. The year 2014 saw the closure of four of Atlantic City’s casinos, bringing the total number from twelve to eight. The folding of the Taj Mahal in 2016 made the final count seven, a far cry from years before. Since then the local economy has finally begun turning around with the remaining casinos trending positive again. This then raises the question of whether the market is capable of sustaining two new major players. A total of nine casinos is certainly less than what has thrived in the area in the past, but with Atlantic City only just recovering some fear it is risky to try to grow too much too quickly. Last year profits for the existing casinos improved by 23%, with only Harrah’s Casino seeing a loss (a minimal 3%) and market leader The Borgata enjoying 20% growth. The first quarter of 2018 wasn’t as kind, but that was mostly due to unseasonably cold and inclement weather. While the launch of two new casinos virtually ensures that AC gets back on the right track, there is a fair risk that individual progress for specific competitors will be at least slightly hampered as a result. Overall the market should be able to handle this small increase, and at least the larger and more successful local competition probably has very little to fear, especially if New Jersey gains the expected benefits from the addition of sports betting. Beyond the more immediate competition, there is speculation that a major success for either Hard Rock or Ocean could have an effect of the casino market in at least part of Pennsylvania. The Keystone State only recently itself began opening casinos in the first place in 2006, a few years after the final successful opening in New Jersey. Since then the PA market has grown considerably, with steady growth even as Atlantic City fought against its painful decline. Last year the state passed legislation expanding its own market further, allowing the establishment of additional smaller casinos and adjusting the gaming limits on the existing locations. Geographically Pennsylvania is a much larger state, with its casinos very spread out (other than a large cluster around the Philadelphia area). This makes the market very compartmentalized, with little inter-regional competition. Thus the only casinos that would really have to worry about market impact would be the afore-mentioned Philadelphia locations and a few others further north along the eastern state border. These businesses enjoy enough proximity to New Jersey and New York City that it can be argued they pull part of their customer base away from Atlantic City. However, the risks to these locations is minimal. Most of these are actually racinos, and as such enjoy the added draw of having fully functional race tracks. Of the remaining there is only SugarHouse Casino in Philadelphia, Sands Casino Resort in the Bethlehem region, and Mount Airy Casino Resort. This last casino can also disregard the threat, as its location in the Poconos conveys advantages of local tourism that specifically appeals to travelers seeking something very different from what Atlantic City has to offer. As for SugarHouse and Sands Bethlehem, they could conceivably find a small negative effect among a specific subset of their player base, but even this would probably be minimal. 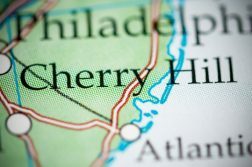 Therefore, if the other New Jersey casinos are not worried then eastern Pennsylvania should not be either, especially if Pennsylvania is currently not even afraid of the added competition from its own expansion. In any case Pennsylvanian operators would do well to focus more on getting its own online sites launched later this year, as that represents a far bigger opportunity to be concerned with. Another important fact is that both new casinos are rising from the ashes of the city’s greatest failures. Hard Rock Hotel & Casino is replacing the Trump Taj Mahal, and Ocean Resort is the resurrection of the recent disaster Revel. Both of these dead casinos were hugely ambitious projects that faced numerous delays and budget expansions and launched deeply in debt and faced multiple bankruptcies. Of the two new locations Ocean Resort is not regarded as much of a threat for a variety of reasons. Revel was largely believed to be cursed, having gone bankrupt twice in the two years it was open and having already failed at its previous relaunch attempt. The property will have only 1,400 rooms compared to Hard Rock’s 2,000, and does not have the reputation and brand recognition of its competitor. It also has not been as public with its progress, and it remains to be seen if its license will be approved in time. Hard Rock, on the other hand, is a very trusted brand, has a head start in the quest for its license, and has a massive advantage in its ultimate plan to focus on entertainment ahead of gaming. The Hard Rock launch is centered very specifically around its many popular music acts that have been booked, several of which were announced at the official launch press conference although more have been added since. It’s this entertainment pedigree that gives Hard Rock a significant leg up in the market, and could do well to make a splash in Atlantic City’s tourism. It also may prove to be the unexpected factor that could put a dent in the revenues of the other local casinos, as well as those in not-too-far-away Philadelphia. Hard Rock has continually showed itself to be preparing thoroughly to compete hard.